Housekeeping + Laundry Facilities + WiFi available. When you choose to stay with us all your meals are included. Guests can experience a peaceful and performance-driven environment at the convenience of resting right on the same property as the best training venues in the world. 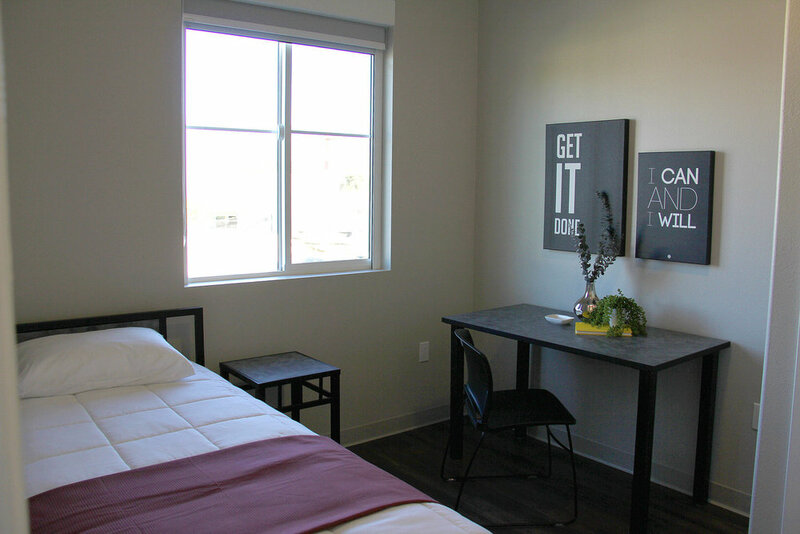 Most on-site housing is set up in two bedroom and two bathroom suites with a shared living space and four beds. Rooms are equipped with a miniature fridge and television.